What did Chinese people in third- and lower-tier cities do during the seven-day Spring Festival holiday? It seems that traditional activities such as playing mahjong and snacking on sunflower seeds lost appeal. Instead, shooting funny videos via short-video platforms and grabbing digital red envelopes gained vogue. Quietly and steadily, the internet economy conquered China's smaller cities during Lunar New Year in 2019. Industry observers noted that the ongoing trend illustrated how booming digital consumption in third- and fourth-tier cities could expand this year and even surpass that of big cities to feed China's astronomic economic drivers. Liu Guoxin, a 40-something resident in Ningde, a small city in East China's Fujian Province, became addicted to short-video platform Douyin during the Spring Festival holiday, which started on February 4. He abandoned his favorite game of mahjong and filmed a few hundred short videos within the one-week holiday. Some were about the reunion dinner at New Year's Eve, while others featured him dancing with his family members to cheerful music. Liu spent about an hour watching online short videos every day, and bought a floor-mopping robot, a dish-washing machine and some local specialties after watching short video ads on Douyin. Those items cost him more than 3,000 yuan ($445). "[Shooting and watching short videos via the app] is interesting, novel, trendy and simple," Liu told the Global Times over the weekend. "I also want to keep myself updated with technology." Like Liu, more people in smaller cities also moved the traditional ways of celebration online during this year's holiday. A report by technology company Baidu showed that East China's Shandong and Jiangsu provinces, as well as South China's Guangdong Province, ranked the top three in terms of the number of active users who grabbed digital red envelopes on New Year's Eve. Central China's Henan Province was fourth and East China's Zhejiang Province was fifth. Online sales in smaller cities also had an auspicious start in 2019. On e-commerce platform JD.com, sales in fourth-tier and sixth-tier cities shot up over 60 percent during the holiday, ranking the fastest among all Chinese cities, according to a post on JD.com's WeChat account. It is hard to imagine that Liu, who can shoot and watch videos with a few clicks, only downloaded the app on February 3, after his niece, a white-collar worker in Shanghai, visited him. His niece, who prefers to use her working English name Sally, introduced the Douyin app to him and taught him how to play with it. Sally told the Global Times that during the Spring Festival, she also introduced other internet apps such as social e-commerce platform Xiaohongshu and cross-border e-commerce platform Netease Kola to relatives in the coastal city. As disposable incomes rise, "people in my hometown have the desire to purchase… they look for a better life, and the internet economy could help identify and meet their needs," she said. Hundreds of millions of urban workers like Sally who returned home at the holiday taught people in smaller cities about the internet economy, and this fueled China's booming online economy during the Spring Festival. Although the spending power in major Chinese cities has eclipsed that of third- or lower-tier cities, "the sheer size of the internet population as well as the stunning growth rate in those smaller cities bodes well for their potential in the internet economy," said Liu Dingding, a Beijing-based industry analyst. He predicted that as the nation's infrastructure network improves, total online spending from lower-tier cities could catch up with and outstrip that of major cities. This booming internet economy in lower-tier cities could also rise to be an engine of growth amid economic downward pressure, analysts said. 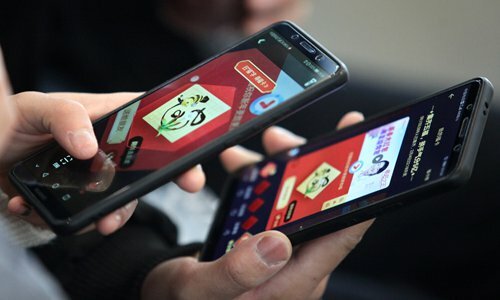 As of June 2018, users in third-tier and smaller cities accounted for 54.5 percent of China's total mobile internet users, while those in the first- and second-tier cities represented 45.5 percent of the population, according to a report issued by QuestMobile, a data analytical platform.